The goal of JERS is provide an efficient method of capturing evidence electronically as it is presented in court during a trial. JERS provides a number of advantages to court personnel, jurors, and counsel. JERS provides easy access to evidence during deliberation through the use of a touch screen computer, reducing the need for the courtroom deputy and jurors to handle physical evidence. Jurors can view the evidence multiple times, rewind videos and zoom in on pictures. Counsel can feel confident the evidence will be viewed in the most persuasive means possible. 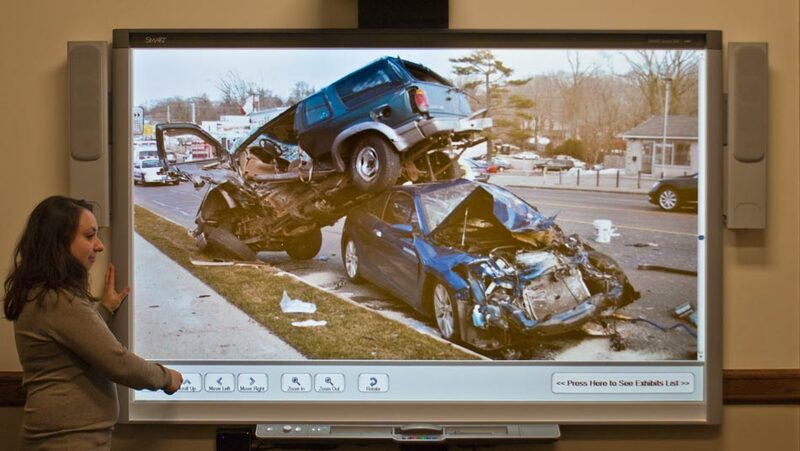 Restrict how the jury may review the exhibit: Audio Only, Video Only, Zoom Off (Zoom Off restricts the jury from enlarging an exhibit on the touch screen in the deliberation room). Electronic evidence files should be provided on a USB drive, DVD, or CD. The individual file size of electronic evidence should not exceed 500MB. Exhibit files can be formatted in a manner that permits them to be batch imported into the JERS system. The two methods used are described below. One of the two methods must be used. All files are provided on a single storage device such as a CD, DVD, or USB drive. Along with the exhibit files, a text delimited index file named Exhibits.txt is also required. The use of the "underscore" character is required after the exhibit number even if a description is not being used. "1-a_photograph.jpg", "12-2009_Tax Statement.pdf", "35d.pdf", "12(a)_camera footage.wmv", "7_.wav"
The presiding judge will determine how and if JERS will be used during any trial.